The displacement tracking tool that the International Organization for Migrations (IOM) has developed is called the Displacement Tracking Matrix (DTM). This tool provides information on displacements on various levels and of various kinds including information on where displacements occur, why they occur, their length, the conditions of migrants both on site and en route etc. 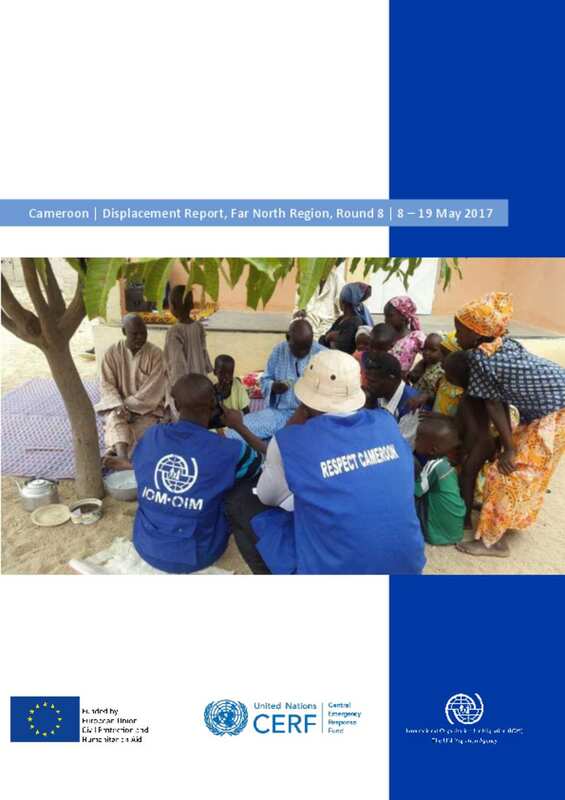 This report aims to provide an overview of the situation in Cameroon’s Far North region, where displacements are primarily linked to insecurity (largely due to acts of violent extremist groups) and, on a lesser level, to climatic phenomena. The information presented in this report was collected directly from displaced populations in the Region in close collaboration with local and national authorities during the period from May 8-19, 2017.